Archeologists work to dig up, reconstruct, and identify the fossils they find buried in the earth’s surface. But scientists never have all the facts, so they have to interpret the evidence they find, based on their starting assumptions. You will be exposed to fossils and science from the very beginning of your tour as you enter the museum through our dig site exhibit. Meet two archaeologists with different understandings of God’s Word and the earth’s history. They dig up dinosaur bones together, but they leave the dig site with different conclusions about the fossils they find. Finding dinosaur bones buried in rock layers laid down by water all over the earth is a testimony of the global Flood that happened during Noah’s day as God’s judgement for sin. The evidence we see on earth, including dinosaur fossils, always confirms the truth of the Bible. 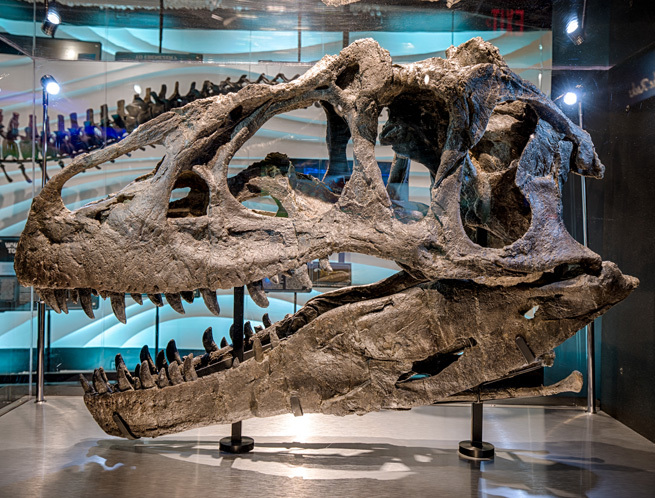 Get up close to one of the most complete allosaurus skeletons ever found, uncovered in the upper Morrison Formation in Colorado. 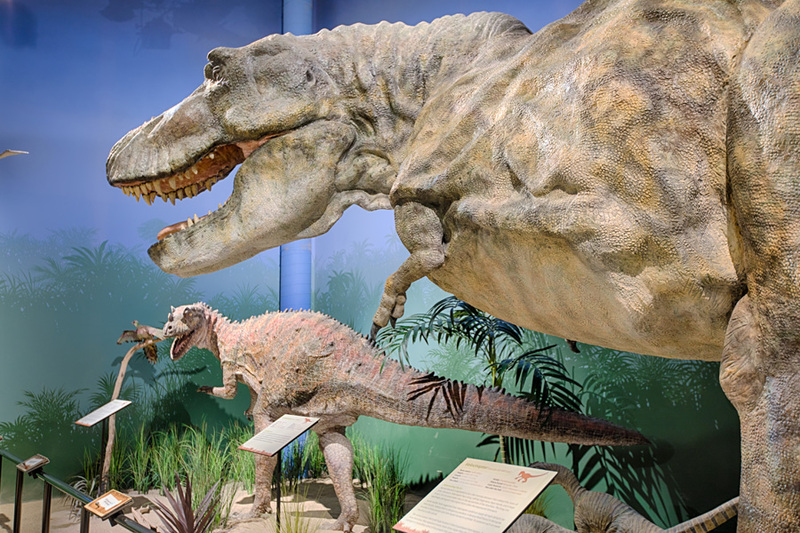 Ebenezer the Allosaurus will make your Creation Museum trip an exceptional experience.